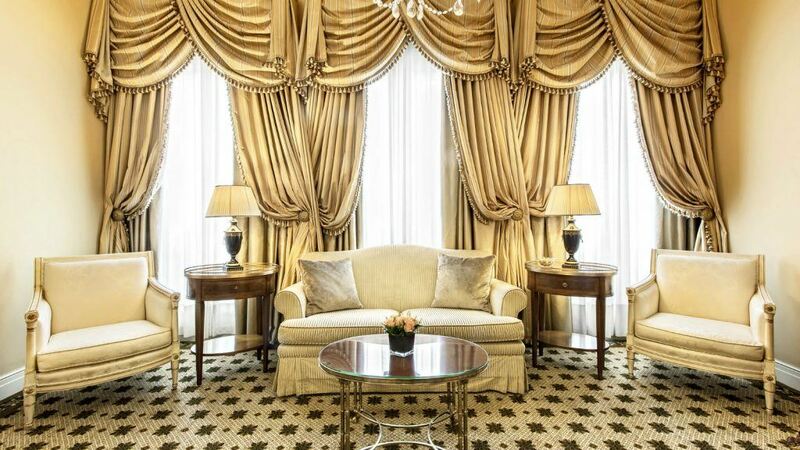 The Hotel Grande Bretagne occupies a prime location in the centre of Athens. 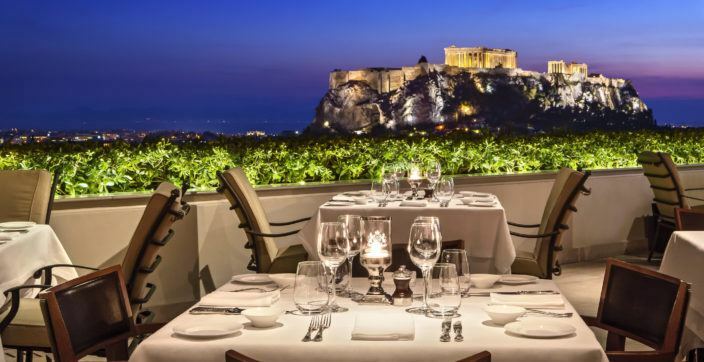 It has views over the Acropolis and other classical and modern buildings in the city. The hotel features a stunning entrance with imposing pillars. It would be hard to find a more magnificent hotel anywhere in Greece. 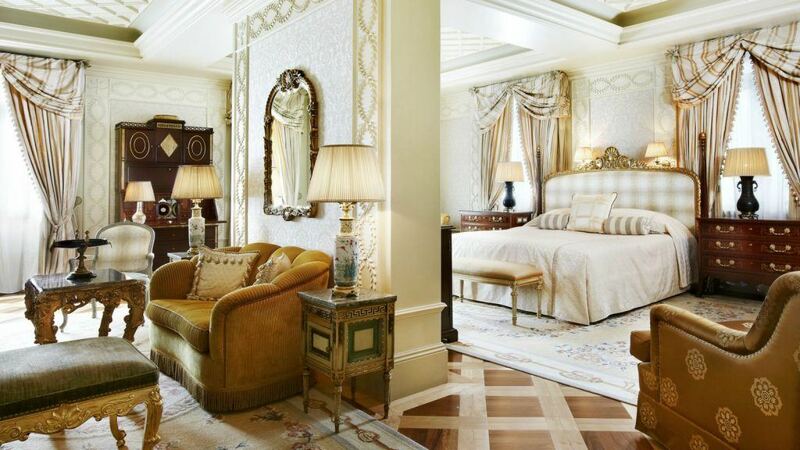 This historic hotel has a unique collection of 58 opulent suites which are guaranteed to impress the discerning visitor. This hotel has built its reputation on providing opulent accommodation. The Junior Suites, Deluxe Suites and Grand Suites offer a fine selection of rooms with sumptuous, period details and a range of attractive views over the city. They are all designed with comfort and elegance in mind. The hotel also has Grand Deluxe Suites and Executive Grand Suites. These luxury suites are even more spacious. There is plenty of room for relaxation in their exquisite surroundings. 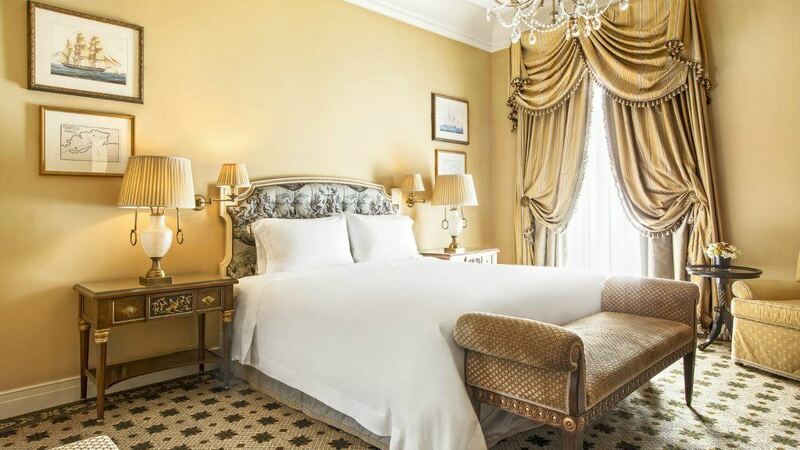 Both of these suites have separate areas for sleeping and for sitting quietly and soaking up the exclusive atmosphere of the Hotel Grande Bretagne. 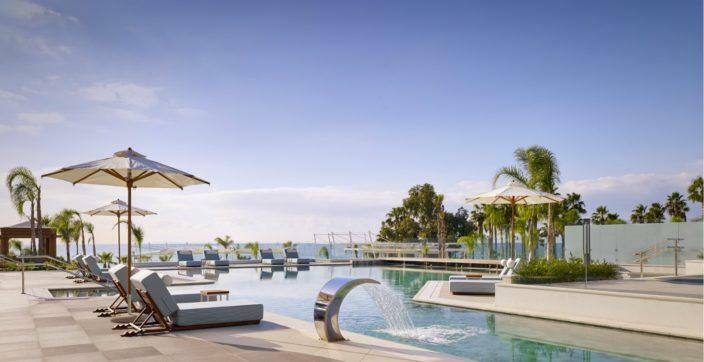 The Executive Grand Suites have chandeliers and antique furniture as well as access to private outdoor space with stunning views. 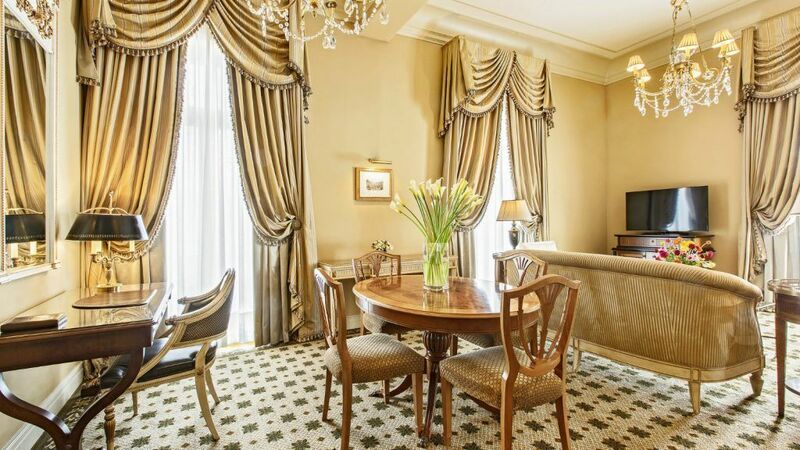 The Hotel Grande Bretagne’s most exclusive suites are the spacious Presidential Suite and Royal Suite, both of which have witnessed historic meetings in the past. 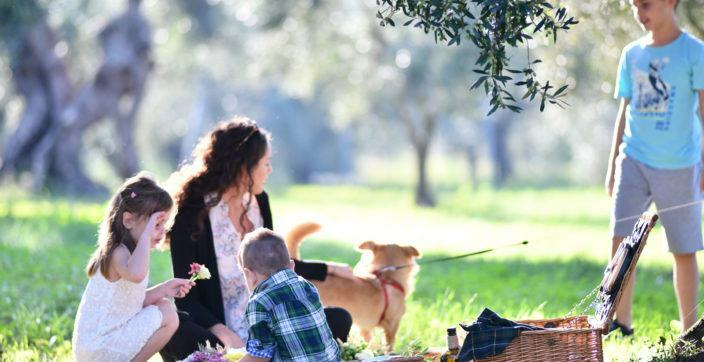 No other hotel in Athens has Royal and Presidential Suites and so this is something very special. The classically-inspired décor of the Presidential Suite features crystal chandeliers, oil paintings and marble bathroom fittings. The Royal Suite has 400 square metres of accommodation, including a private sauna and a huge dining room with its own wine cellar. The legacy of this building as a place of luxury and fine dining makes it the perfect venue for high level business meetings or relaxation. 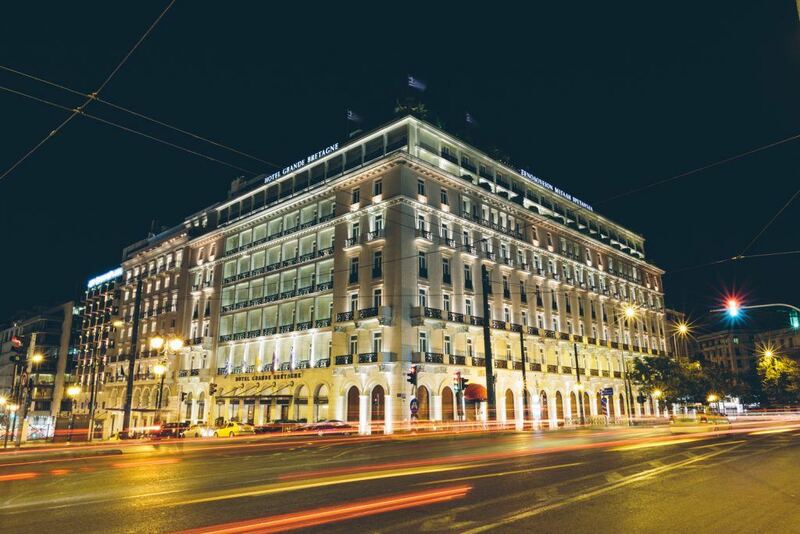 The panorama of the illuminated city at night will leave a lasting memory of this outstanding hotel in the heart of Athens. 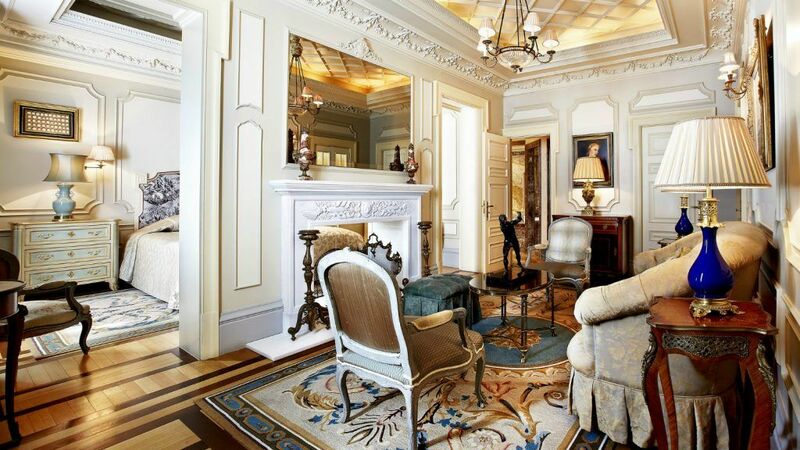 Visit www.grandebretagne.gr to explore all Rooms & Suites.